This gift set consists of a 4gb Key USB and a Grobisen ballpoint pen. Each item is available in black, blue, red & silver and can be purchased in this set or as individual items. USB811-Key USB flash drive, 627-Grobisen series twist action pen. 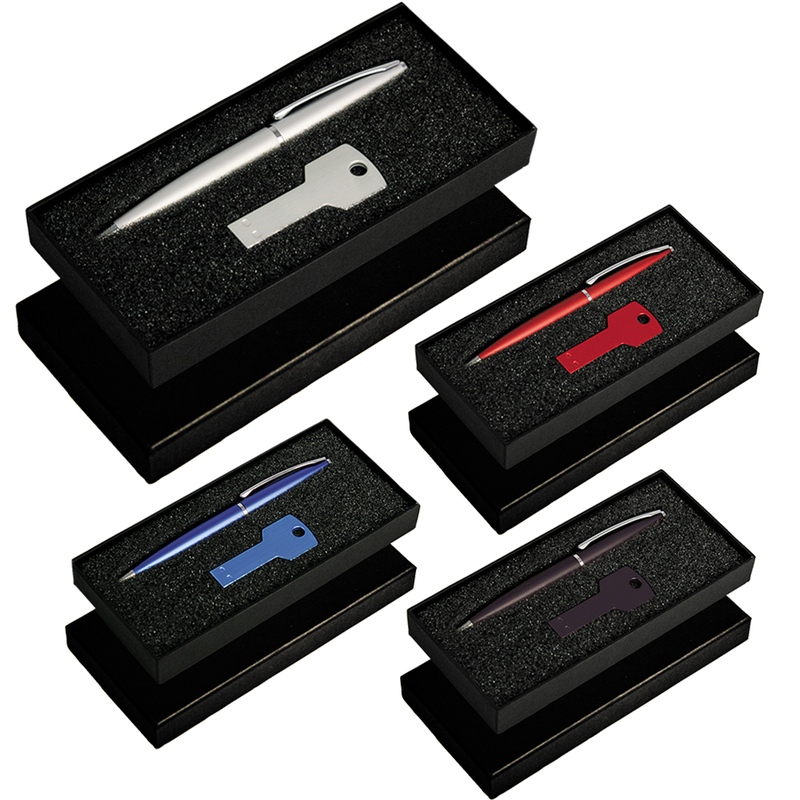 When purchased as a set they are presented in a custom made 2 piece gift box with foam insert for the presentation of each item.